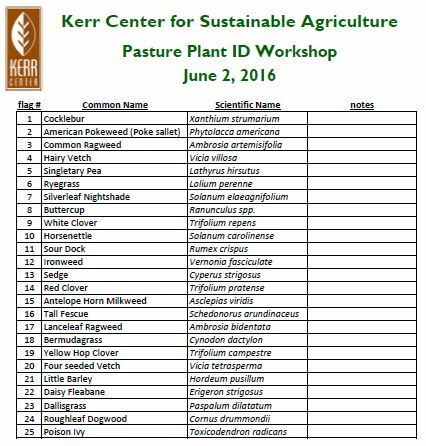 This is a worksheet used in plant identification trainings on the Kerr ranch. It includes basic information and notes on 50 plants common in southeastern Oklahoma. Twenty-one people turned out to hear the latest word in feral hog management at the Kerr Center’s August 27 evening workshop. Here’s a quick overview of what they learned. This collection of online resources related to pond management was used as a handout at a 2011 workshop led by Ken Williams.